The hardest part in the networking process is the crossover in customer service that applies when one manufacturer claims that they have done their part and it’s up to the other guy to help you on the next step. It gets even harder when you enter in another manufacturer or in this case maybe a fourth. I started this document for my own sanity as a step-by-step process in a field that I know little about. 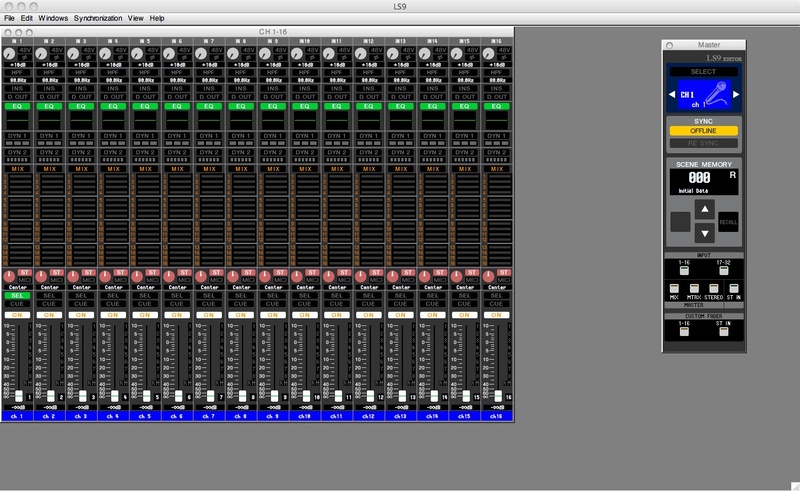 I admittedly don’t know a lot about networking, but I learned what I needed to complete the task of first networking my console to my MacBook and then with the development of the LS9 StageMix app, connecting to my iPad. This page will help you with networking if you are an Apple Product user. You might be able to translate this to a PC if you know a little more the Windows Operating Platform. To begin the process we will need to be sure that all Firmware and Software updated to current versions. There are links to the respective sites to get them. 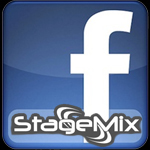 As for the iPad, if you are still on iOS4 it is recommended that you hang out there and follow the StageMix facebook page for instructions. I updated my iPad to iOS5 and haven’t had any connectivity problems other than rare drop out from time to time. 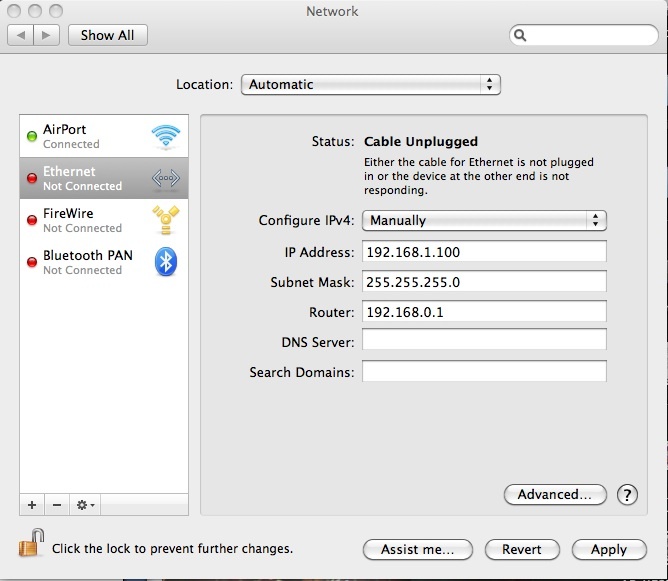 However, when I purchased a new Airport Extreme there were major connection issues. Since then i have decided to just get a few spare Netgear N150 Wireless Routers to use as spares since they seem to be very reliable. 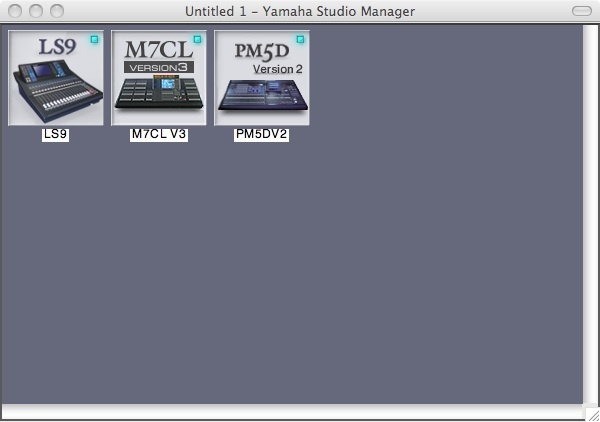 Here are the current versions of the things you will need as of Mid November 2011. 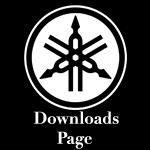 Yamaha Stage Mix app for M7 and LS9 (As applicable) available through iTunes. 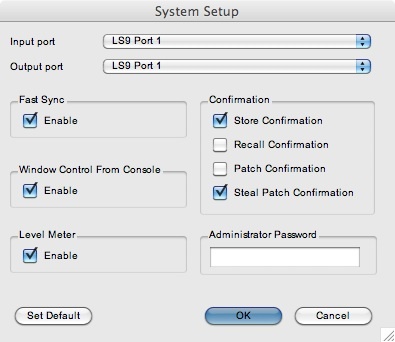 This first section deals with networking your Apple Computer to the Console itself. Some of these steps do not apply directly to the iPad so you can skip what’s not applicable. I would recommend reviewing them all. While Yamaha doesn’t directly support DHCP Connections, apprently they will work. 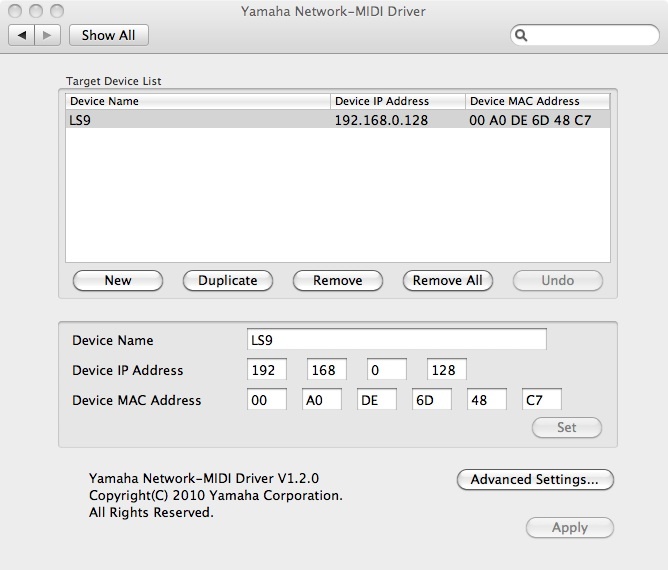 Yamaha recommends that you set up a Static IP address by choosing Manual Set-up within your IPv4 network settings. You should then enter in the following addresses, You won't be entering anything into the DNS Server line since you aren't using this ethernet connection to access the internet. Yamaha also recommended that you not put your console on a network that is directly connected to the internet. Next you will want to change the settings on the Network Midi Driver. 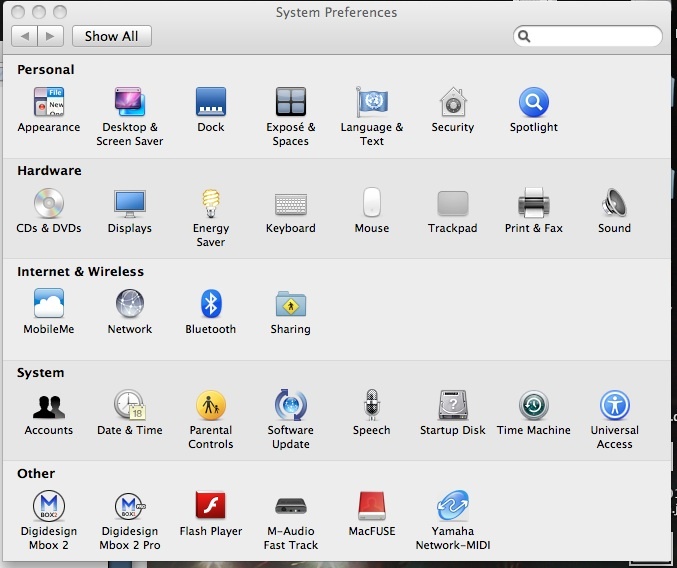 After you have installed it you can find it on the System Preferences page. If you have attempted this process before it’s best to just select the console and click “remove” to start fresh. 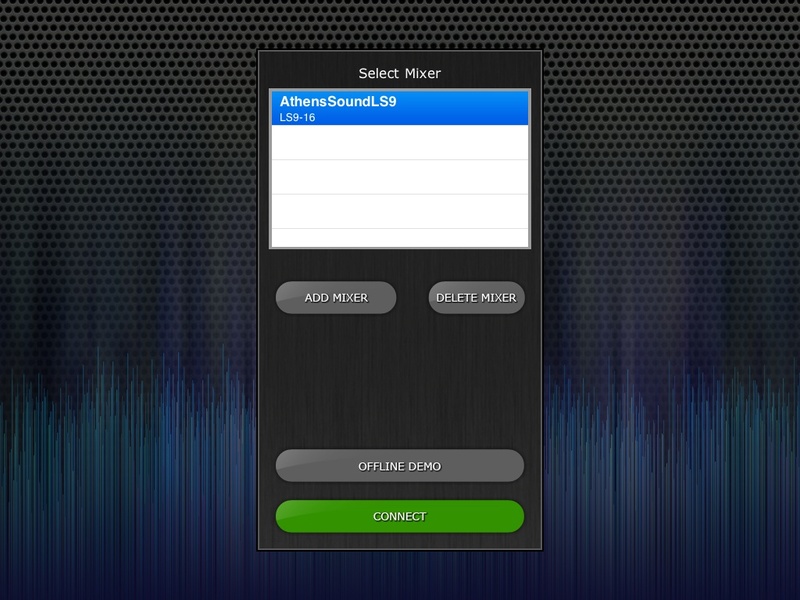 Studio manager will connect via the console by using the Midi Driver, it works the same way that a printer needs a driver. Now you can open Studio Manager and begin the connection process. Upon opening the Studio manager software you should see the editors that you have downloaded in the “workspace” of the screen. We aren't ready to open the editor, if you have opened it, just hit "command w" to close it- Studio Manager will remain open. 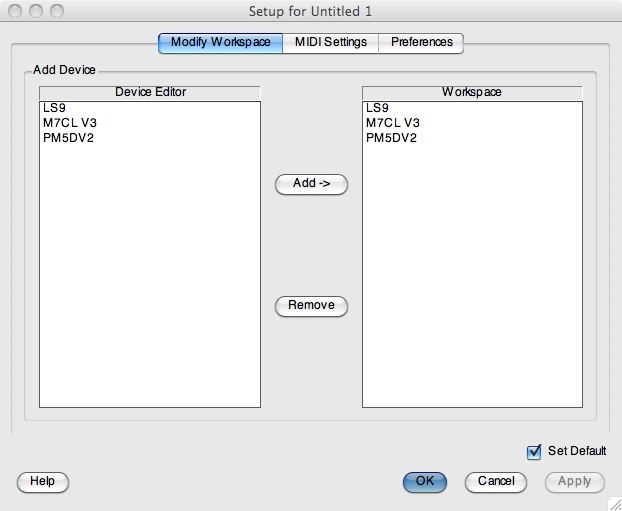 If your console(s) editor software is not shown in the workspace you will need to add it to the workspace. Next you will need to open the “ports” for communication with your console. If the Network Midi driver process was completed successfully then you should an input and output port for your console. 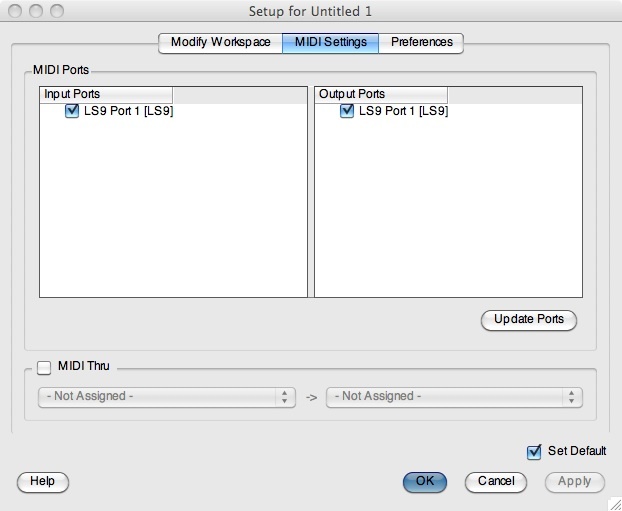 In the drop down menu under SM2 follow the same path as you did for the workspace, but this time you will want to choose the Midi Settings. Now you can click on the editor of the console you are networking. Notice that you have a editor window within the studio manager software. You will need to open the system set-up within the editor software under the file menu. The master control box within the editor should change from being “offline”. If your editor is open and you don’t see the master control Box you can access it by clicking “Command 1"
*Router must transmit with a Static IP Address with range of Console. Yamaha does not support DHCP. This information will give you wireless control of all the settings within studio manager and let you cut the cord between your computer and the console. Once the stagemix app became available, I haven’t actually connected to the console in this fashion. It really tends to bugger up the basic wifi settings of the laptop and it had problems re-establishing it's natural DHCP connections. Just as above you will need to dive back into your network settings, except this time you will changing the Airport Card settings in your computer. 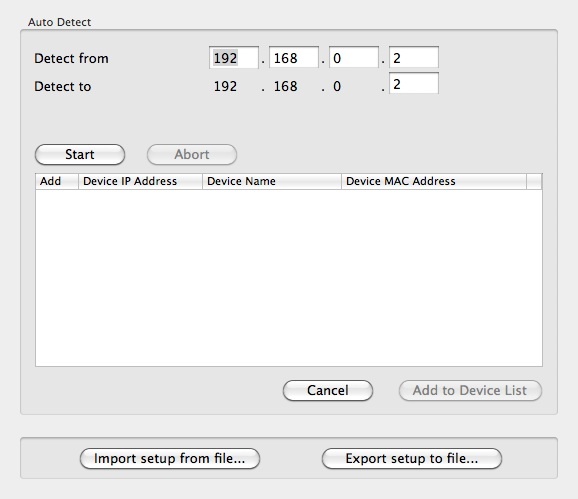 These setting are for the Netgear Routers, the specific one that I use is a RangeMax N150. It has one input and four outputs. Connect a Cat5 cable to the router and enter the follwing web address. Be sure that your airport is turned off. It will ask you for a login and password, there won’t be one yet. Once your wireless network is set-up and functiong, the addition of the iPad will be the easiest part of the equation. Your iPad loaded with StageMix is completely independent from the StudioManager software and should never be run at the same time. I'm pretty sure that it will trigger a zombie apocalypse of epic porportions. Actually, they just conflict and it can't be done. Choose Connect (The iPad will connect to the network without much problem, Once it says “Syncing” you are good to go. The wireless router and the iPad will work as a team as you move from console to console. 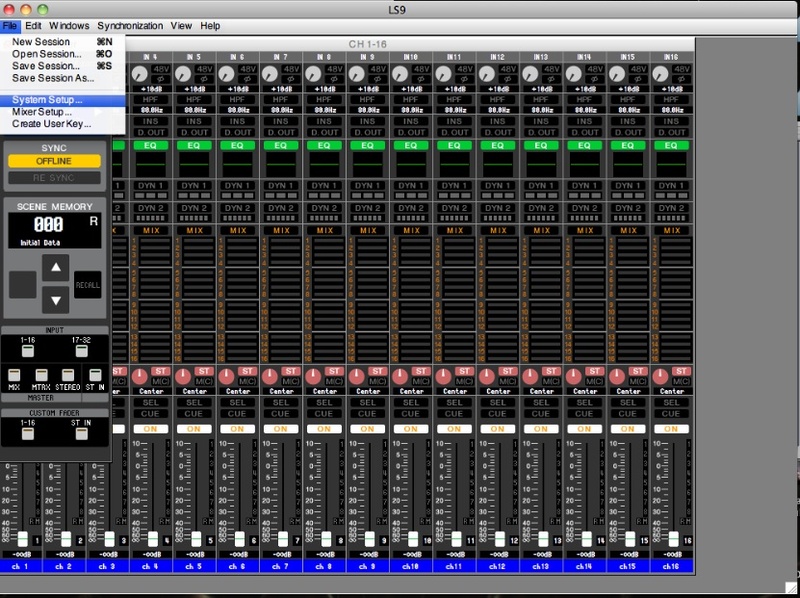 For instance, I take my wifi router and iPad to other other LS9 and M7CL consoles and all I have to do is just add the mixer to the list and update that particular mixers settings. 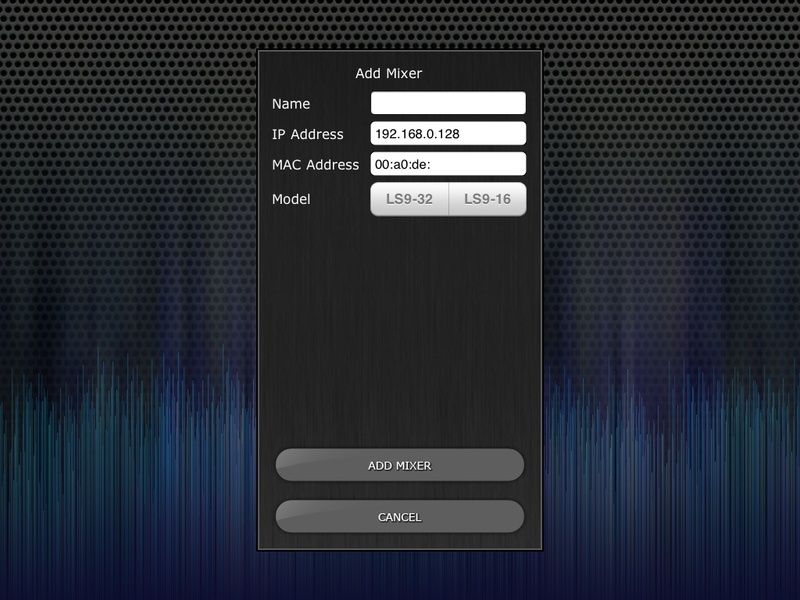 No other settings ever have to be chnaged within the router or the iPad. While I have one Netgear mounted in my R&R doghouse case, I have since been on the quest to acquire more of these routers since they are obtainable for under $30. I have to give major thank you's to the Athens, GA music community in helping me set these things up. First to Tom Ryan (Bass Player and Computer Programmer) for lending his expertise on the DNS codes. Secondly to Zach Wetzel (Audio Engineer at The University of Georgia) for his help in the documenting of this process. Without these two guys I would have never gotten all of this to work smoothly. When all else fails you can reach Yamaha by phone at (866) 211-9366, however they are bound by the same rules that other manufacturers abide to: They can only help you with the items that are specific to their product, but overall they were very nice in giving me the right details to make it work. 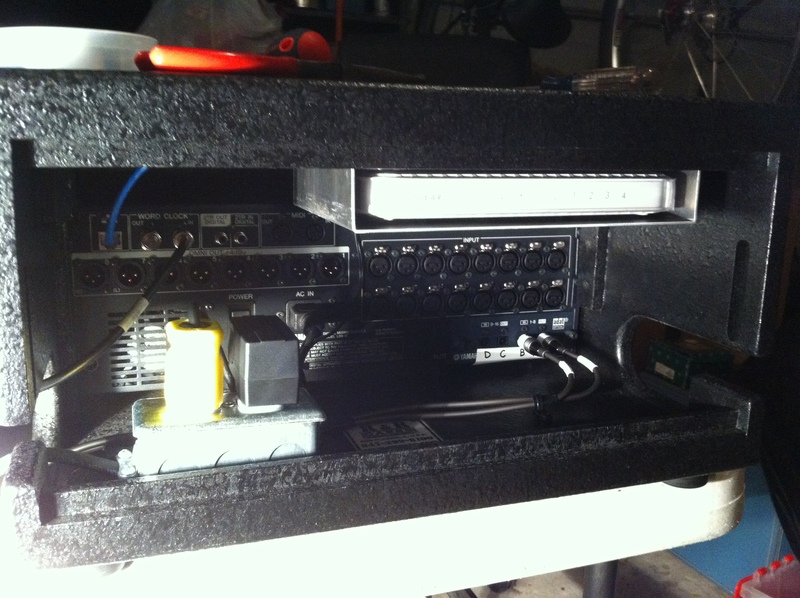 Here's my Netgear RangeMax N150 mounted in the back on my R&R case for the LS9. I had a local metal fabricator make me this aluminum shelf that screws to the top of the case. There is also a thick wooden trap door that goes on the back to conceal the cabling. The singal strength is still pretty superb and I can more than 250 feet away and still maintain connectivity to the console.